Gdańsk is a city with the population nearing half a million, without doubt one of the most popular tourist and cultural centres, a rapidly developing academic and commercial centre. It is located on the Gdańsk Bay by the southern coast of the Baltic Sea. For centuries, Gdańsk has been playing the key role in the commodity exchange between the Northern and Western Europe and countries of the Central and Eastern Europe. Additionally, shops with a “soul”, charming restaurants and cafes as well as cultural events not encountered anywhere else create a unique atmosphere. Additionally, cyclical events that are very popular with the local population and tourists take place in the city, e.g. : the St. Dominic’s Fair, Long Night of Museums or the Baltic Sail. Gdańsk, one of the most beautiful cities in Poland, is a place one not only has to visit briefly but also do some sightseeing. The Main Town, Old Town, Wrzeszcz, Oliwa, Sobieszewo Island... Each of these places hides stories worth knowing. Bourgeois interiors of the Uphagen's House, the Artus Court and the Old Town Hall are worth seeing in the Main Town, at the very heart of Gdańsk. The Royal Road leads one through the pages of history from the Upland Gate and Foregate with the Torture House, through the Golden Gate to the Green Gate on the Motława River. 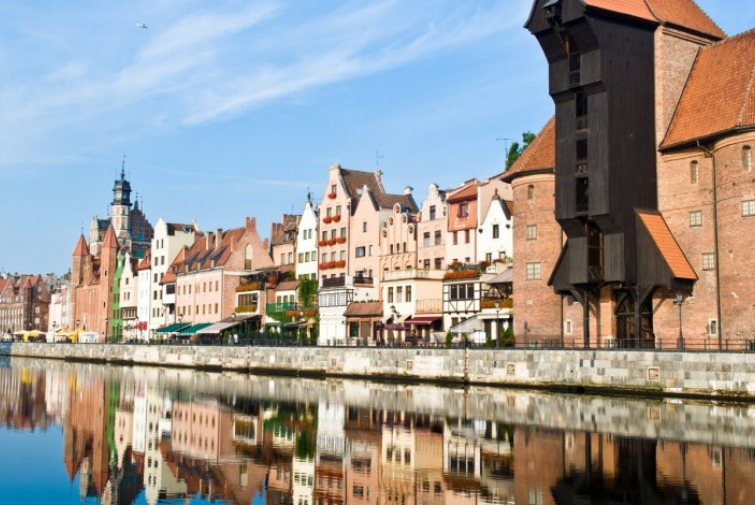 The Mariacka and Piwna streets will charm you with the sight of Gdańsk perrons and gargoyles. The National Museum, Historical Museum of the City of Gdańsk, Central Maritime Museum or the Archaeological Museum are the official names of institutions of varied nature in all parts of the city. The Oliwa Cathedral, St. Mary's Church, St. Catherine's Church – each of them tells a different story attracting crowds of tourists looking for the spiritual experience. Art galleries, exhibitions, amber products, Gdańsk lions and the Lady from the Window… It is worthwhile to feel like a player on a history board: you have to go through all the fields to win Gdańsk. In the end, everyone will get a prize worth some time and commitment, i.e. memories that each tourist will take home. So, let’s start exploring! The Smart Tour mobile guide can help you explore the city.